Ah, the great outdoors. There's nothing else quite like being out in nature. 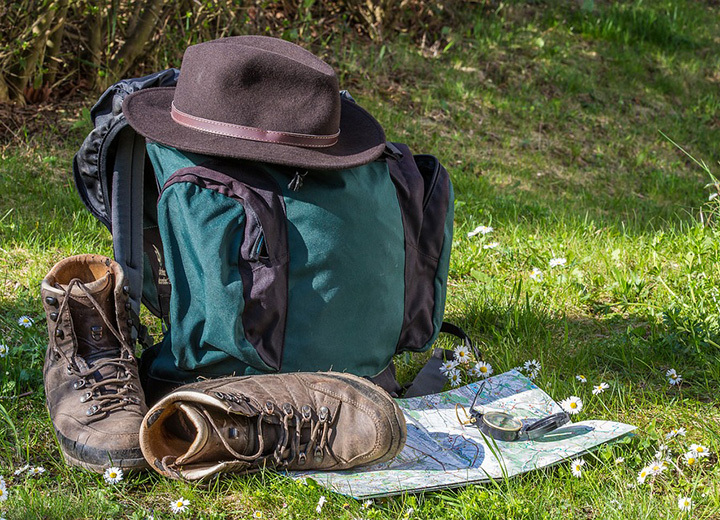 Whether you're a newbie to backpacking or a well-traveled trekker, hiking in the desert or the mountains, one thing remains the same: You need a hat to protect your face, keep you comfortable, and ensure a safer sojourn. 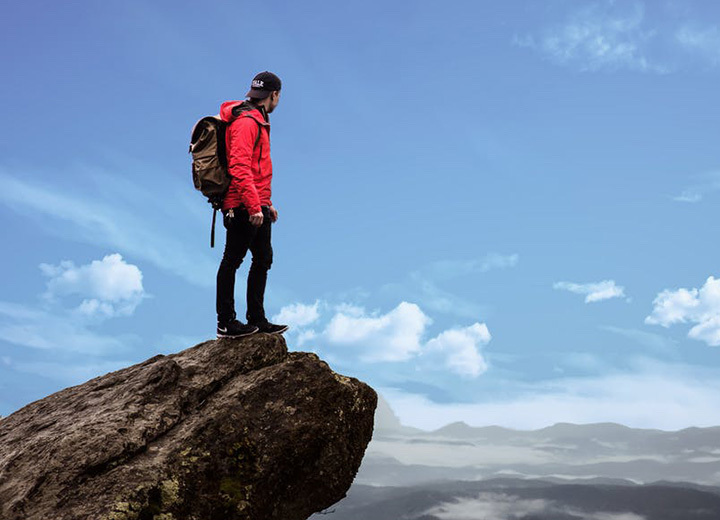 They say the journey of a thousand miles begins with a single step, so get ready to hit the trails after following these steps to find the best mens hiking hats. Hiking gear? Check. Sleeping bags? Check. Hiking Hat? That's what we're here for. Before you can decide on the right adventure hat, it's crucial to know which features make a good hat for your next journey. A wide-brim hat — that is, one that measures 3 inches or bigger — is ideal when it comes to selecting a hiking hat as it provides the most sun protection. Being exposed to ultraviolet (UV) rays increases the risk for skin cancer, so this isn't something to ignore. 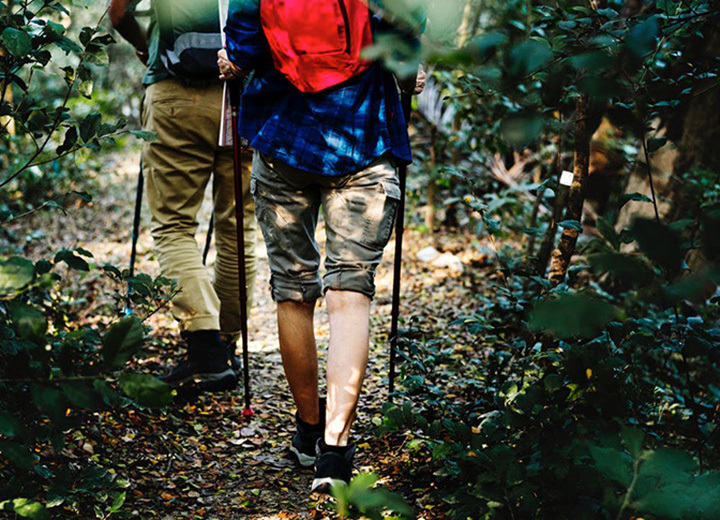 According to the American Cancer Society, this is especially important between the hours of 10:00 a.m. and 4:00 p.m. when UV light is strongest, not to mention the time frame when many people are hiking. What's more, UV rays reach the ground all year, even on cloudy or hazy days. With this in mind, all the sun hats on this list have wide brims. It also helps if the brim's underside is a dark color to reduce the sun's glare on snow or other surfaces. Even though you're an au naturel guy who enjoys Mother Nature's splendid beauty, there's something to be said about synthetic materials when it comes to hiking hats. Man-made materials such as polyester and nylon often block UV rays better than natural fabrics like cotton, straw, and wool. They're also made in such a way to provide moisture-wicking and quick-drying cooling action. But as our list demonstrates, you can still find hats made from natural materials that get the job done. Just as you protect your skin by putting on sunscreen, so too should you protect yourself with UPF-rated sun hats. An acronym for Ultraviolet Protection Factor, UPF indicates how much UV radiation gets through the fabric. Since hiking exposes you to the sun for prolonged periods of time, look for a UPF rating of 40 or above — UPF50 is ideal, although you can find plenty of good hiking hats without a UPF rating. Learn more in our guide to the best sunblock hats for men and women. If the hat fits, wear it. No matter how high the UPF rating or how wide the brim, a hiking hat will do you no good if it doesn't fit and feel right. A comfortable fit is essential, so consult our hat sizing guide to make sure you get the right size. Along with how it feels, fit includes adjustability. Look for features such as chin straps, neck capes, and inner drawstrings that will help keep your hat in place. You're going on a hike, so it only makes sense that you would want a hat that is easily packed. Hats that are crushable make the best travel companions because they bounce back to shape even if they've been folded, stashed, smashed, or otherwise abused. 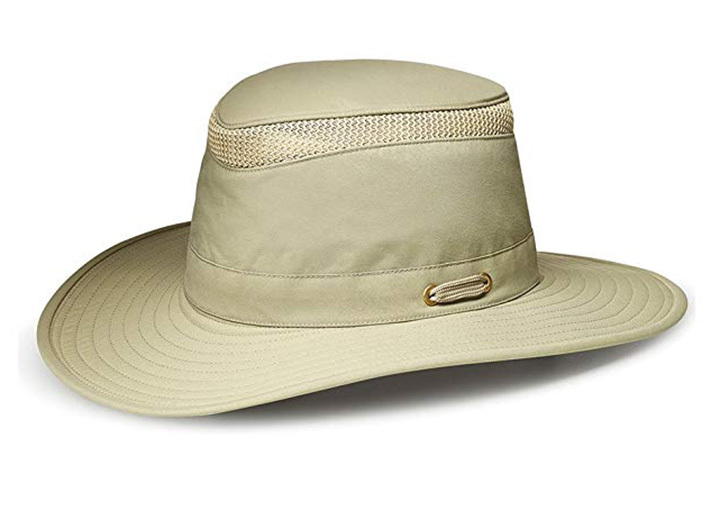 Check out our list on the best crushable sun hats for travel. 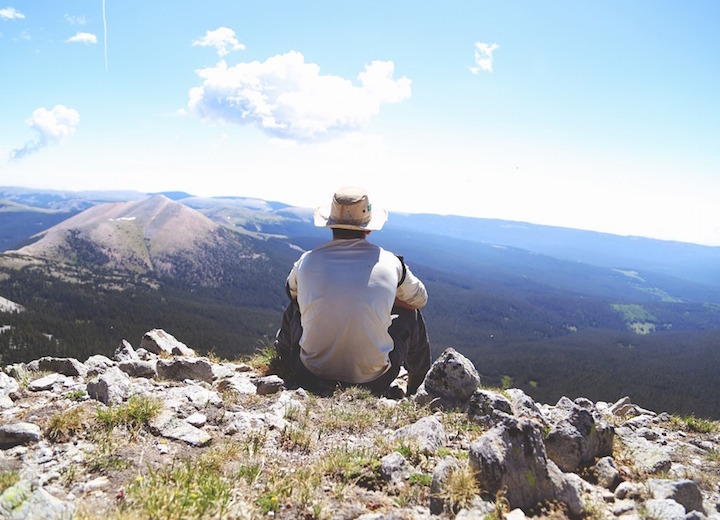 As comfortable as your favorite baseball cap might be, consider leaving it behind during your hike or only wearing it once the sun has gone down. A ball cap's brim doesn't offer optimum sun protection — it only shields part of the face while your neck, ears, and cheeks are exposed to the elements. Check out some of these top styles for your next hiking adventure. It doesn't get much more comfortable than this wide-brimmed herringbone cotton safari hat from Stetson. Lightweight enough to wear on a hike any time of year, the breathable weathered cotton will make you feel as though you've owned it forever. The brim's reinforced edge keeps fraying at bay (perfect when trekking through brush and bramble) and the plaid lining offers a fun touch. The chin cord guarantees a good fit and the dark brown color is just what you need to block the sun's glare. A perennial favorite for outdoor adventurers, the popular Bora Bora Booney II from Columbia Sportswear is made from 100% textured nylon poplin with a UPF50 rating. 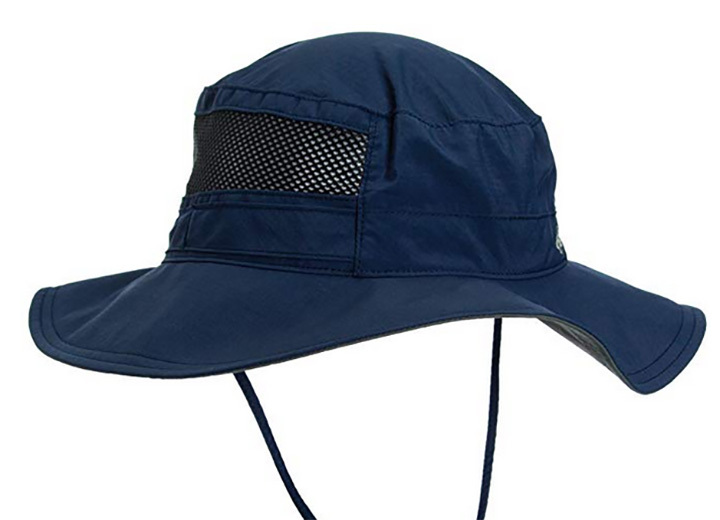 Available in navy, gray, or cream, this boonie hat is similar to the Outdoor Research Helios hat. Columbia Bora Bora headgear is a great option to wear while out on the trail or enjoying water sports. It is lightweight and water-resistant with an adjustable chin strap and draw-cord. 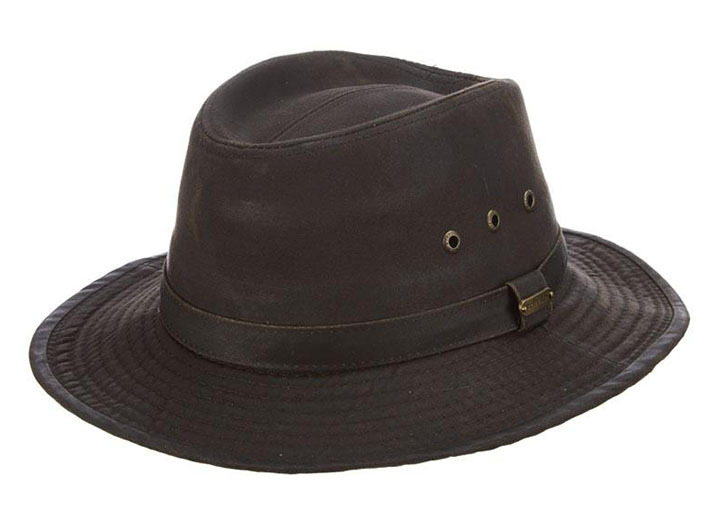 This outback-style hat by Scala adds a serious dash of swagger for the outdoorsman who isn't blind to the latest fashions in men's clothing. 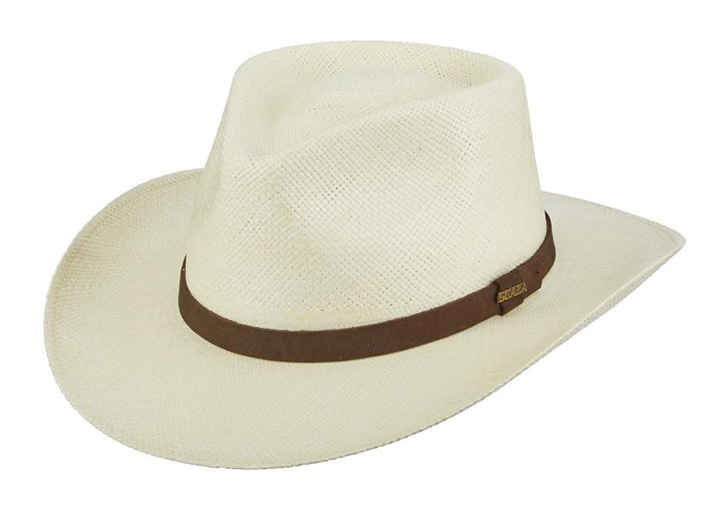 Proving that style and substance can coexist, this 3-inch wide-brim topper is made from Ecuadorian panama straw that is tightly hand-woven to ensure solid sun protection. A Drylex Eco sweatband keeps things comfortable inside while the leather trim keeps things snazzy on the outside. Albuquerque is that rare sun hat that looks as good on the hiking trail paired with a Patagonia or The North Face puffer jacket as it does in the city paired with an urbane ensemble for a special occasion. Whether you're leisurely hiking on a Sunday afternoon or powering through a fierce trek after dark, the LTM6 Airflo by Tilley Endurables is a lightweight nylon hat that will keep you comfortable through it all. It also has a UPF50 sun protection rating and dark underbrim for glare protection, plus it's machine washable. Read more with our easy tips on how to wash a hat in the washing machine. They say that life is about the journey, not the destination. The same can be said for hiking. And to ensure that you have the best journey possible, finding the right hiking hat is a must. Not only will it protect you from the sun's powerful rays, but it can also help keep you warm during cooler treks. So what are you waiting for? Take a look at our full selection of mens wide-brim hats and get ready for an adventure of a lifetime.